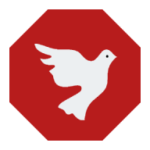 AdAway is an open-source ad blocking app for android. It leverages pre-defined host file to eliminate ads however the host file can be modified and blacklist more advertise sources. Currently AdAway is not available on Google Play Store however the APK can be downloaded via APKxiOS website. We do not host the apk file and serves the direct download link of the apk. We all know that ads are annoying. Webmaster’s have cluttered with ads all over their websites which is the reason AdAway android apk was born. Note: AdAway requires rooted device to function, you can download rooting apps via TUTUApp on your android smartphone. You require minimum 2.1 android version. An open-source application ensures you’re downloading a trusted and virus free app. It’s simple to use – just install it and it will do the work on the background. You can whitelist/blacklist according to your preference. As well as define custom host names in the blacklist. AdAway will be always a free application. It is also accessible in multiple language that includes English, Chinese, German, Polish, Italian, Turkish, Swedish and many more. Go to Download Manager and open the APK installer. Open Device Settings -> Security -> Device Administration -> Check Unknown Sources. Re-open the APK installer -> Install the app.